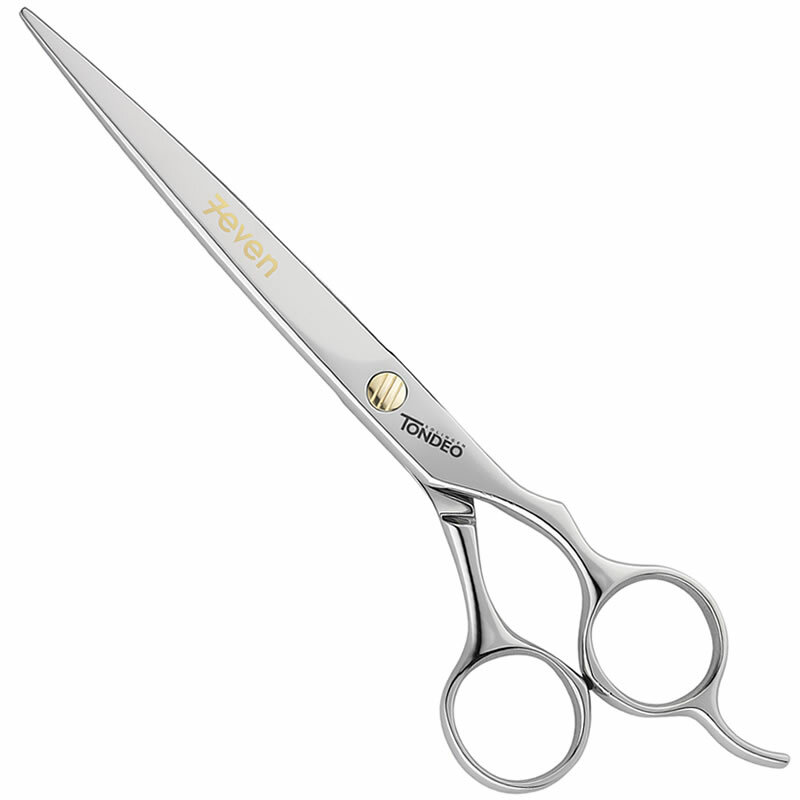 At 7-inches long, the Tondeo 7even is a scissor for those who like the power that comes with extra length. Its slimline design not only gives it an elegant look, but also helps to maximise the efficiency of each cut, meaning less effort for your hand. The 7even is forged from molybdenum stainless steel which gives it an extra hardness for a longer-lasting, sharper edge. So hard in fact that the blades have to be ground with diamond to achieve their ultra-sharp slicing edges. It uses Tondeo's flat pivot system and this, coupled with extreme polishing of the blades, ensures an incredibly smooth action. The blades are joined by an adjustable flat screw that's integrated into the sleek lines of the scissor. Offset handles ensure that your hand adopts a comfortable shape when you're cutting to reduce the risk of RSI. There's also a fixed finger rest for extra support. The Tondeo 7even is part of their S-Line range. £339.16 (inc. VAT) Why no VAT? We're a trade wholesaler and quote our prices without VAT to help our VAT-registered customers understand the true cost of a purchase. Superb cutting collar designed with YS Park's legendary attention to design detail. Forms a skin-tight seal that's impervious to hair and water. 100% rubber and available in 2 thicknesses in either all Black or Black with Red detailing.